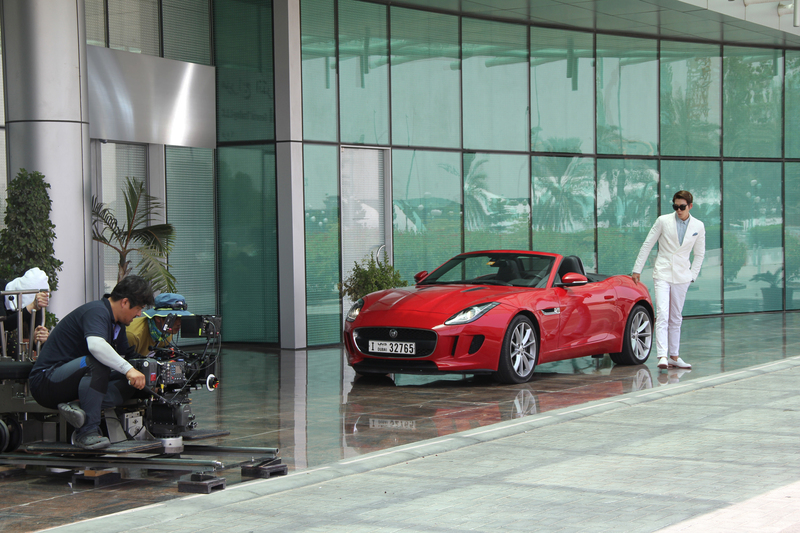 On May 25 to 27th, the The Technicians (W/T) crew roamed the capital of UAE, Abu Dhabi. This was the first Korean film ever to be shot in the city, which took place at the Abu Dhabi International Airport, Emirates Palace, and the Hilton Capital Grand Hotel. The location was decided by the CEO of Trinity Entertainment, NAM Ji-mi. The 21-member The Technicians team included cast KIM Woo-bin and CHO Youn-hee, producer YOOK Kyung-sam, and director KIM Hong-sun. KIM Woo-bin had gained fame through the Korean drama The Heirs and was cast in the film Friend: The Great Legacy last year. Other than The Technicians, KIM Woo-bin is also to be cast in Twenty (W/T) this year. Director KIM’s previous work Traffickers starring LIM Chang-jung had gone to Asian Film Festival of Dallas and received positive reviews, which led to the Best New Director prize at the 2012 Blue Dragon Film Awards. Cinescape Box Office, a production arm from Total Concepts International, supported the shoot by providing local coordination, local production team, government-related licenses and permissions and also equipment. The film cranked-in early March, is scheduled to crank-up in July, and is to be released later in 2014.